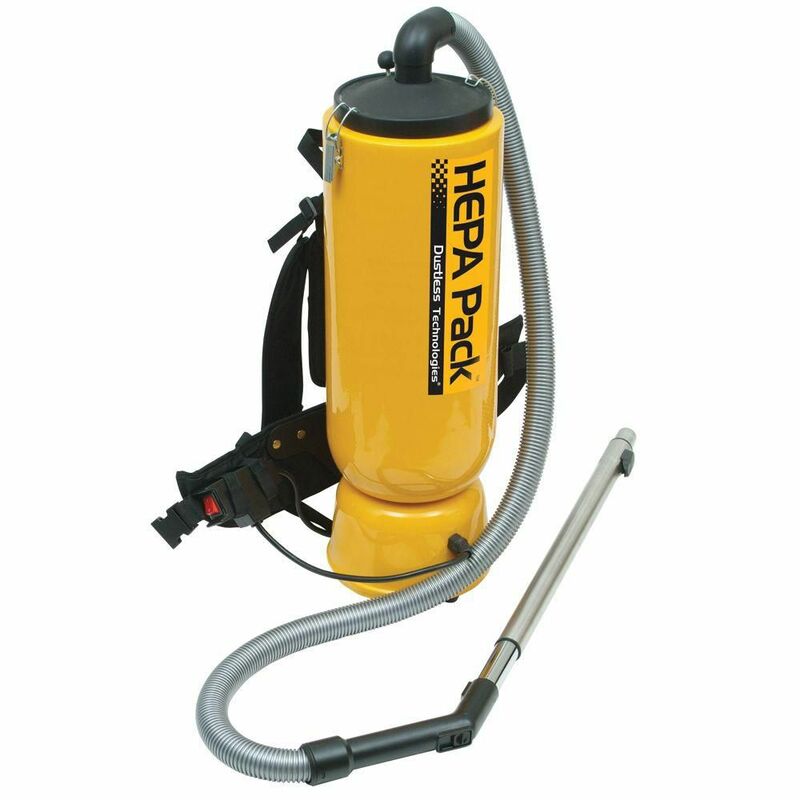 HEPA Back Pack vacuum uses filter with certified HEPA material to meet EPA RRP requirements for lead paint abatement. 2.5 Gal HEPA Back Pack Vacuum HEPA Back Pack vacuum uses filter with certified HEPA material to meet EPA RRP requirements for lead paint abatement. 2.5 Gal HEPA Back Pack Vacuum is rated 3.2 out of 5 by 5. Rated 1 out of 5 by Kelly from Bought 2. Returned them both. Would only run for... Bought 2. Returned them both. Would only run for a hour then shut itself off. Not for constant use. Rated 5 out of 5 by NorthernLights from Works like a pro vac should! Would be even better... Works like a pro vac should! Would be even better if it included a small brush attachment to get into those small spaces. Use a plastic bin lid to slide it around on in tight spaces where you can’t wear it. This sucker has impressive power! Rated 4 out of 5 by Jeri from Lightweight and easy to use. ... Lightweight and easy to use. Rated 5 out of 5 by AlwaysBeClean from Excellent suction power! I own 3 of this type and love my backpack vacuums. Oddly, the backpack i... Excellent suction power! I own 3 of this type and love my backpack vacuums. Oddly, the backpack is less strain on my back than a utility vac and allows me to get around any job-site faster. Note: after 5 hours a day, it can get tiring on your back, so the harness is especially important and needs to be cushioned and comfortable (like the one in this photo). For HEPA, the bags need to be HEPA type and are available online or in vacuum stores, but if you want, it can also take non-HEPA bags which are cheaper. Depending on what we are vacuuming-up on the job, I sometimes use the cheaper non-HEPA bags. Don't want to bore you, but I could point out 2 more quality features...see the curved/angled hose coming out of the top? This helps the hose and your back last longer...less strain. And do you see the simple looking flip-clips which keep the black plastic cover on top securely? They are amazing...super efficient, and super quick for bag changing, and they never fail compared to the screw-on or twist-off tops which are always time wasters -- I've tried both! BTW, people will tease you when you wear these vacs...they will say you look like an astronaut! Rated 1 out of 5 by Vik from Bad Investment We purchased 3 of these vacuums and they all have faulted in some way. Two have faulty “on” switches on two and twice we have had to replace the fuse on two. The attachments do not hold up and need to be replaced repeatedly. We purchased this vacuum for its suction strength which is its best quality when the vacuums actually works. We will not be purchasing this product any longer. For the price our expectation was high and these vacuums did not perform well at all.